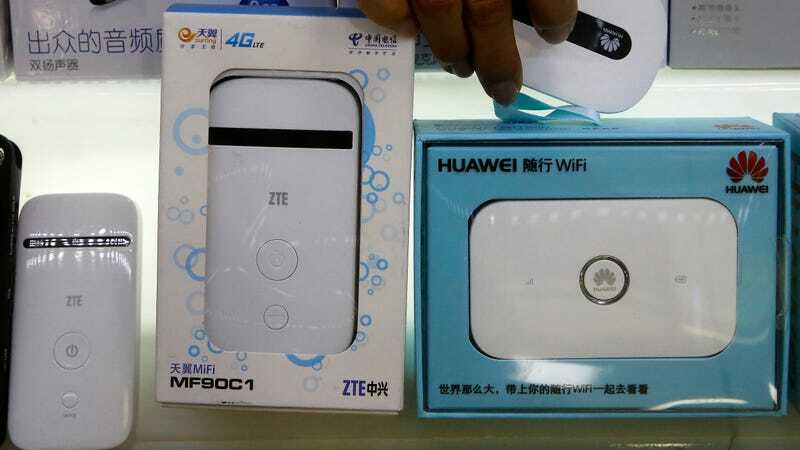 Huawei and ZTE devices on sale at a mall in Beijing in 2018. The Democratic National Committee is warning candidates, party officials, and campaign workers to steer clear of Huawei and ZTE mobile devices—apparently under the concern that the smartphones could used to spy on them. The DNC has ample reason to be concerned: During the 2016 campaign season, their email systems were successfully targeted by (allegedly Russian) hackers who orchestrated a phishing campaign. The U.S. intelligence community has been publicly floating separate concerns about both Huawei and ZTE since at least February, when officials from the FBI, CIA, and NSA testified before the Senate Intelligence Committee that either company could be spying for the Chinese government. Both companies have consistently denied any and all allegations of spying. However, the Chinese government supposedly has strong links to Huawei and its overseas growth has been fueled by funding from state-owned banks, which has made the company a particular sticking point in an atmosphere of mutual distrust. Earlier this year the Pentagon banned sales of both Huawei and ZTE devices at military bases—though despite the warnings from top intelligence officials, any actual evidence that either company could be a security threat has not been provided. Earlier this year, ZTE landed itself in severe trouble with the U.S. over a separate national security issue—allegedly violating sanctions on Iran and North Korea. Commerce Department sanctions imposed on ZTE in response threatened to run the company out of business entirely, though they later became a bargaining chip in the ongoing U.S.-China trade war and were lifted in exchange for around $1.7 billion in fines, changes of management, and security guarantees over the objections of the Senate.